Performance skills are the key to your child’s happiness, self-esteem and success in life. At St. Pete Music, Acting, and Dance (Formerly PLAY Performing Arts), our students become boldly goal-driven and socially confident through camps designed to develop performance talents, self-esteem, and accountability. Our professional and caring teaching staff will prepare your child with priceless performance and presentation skills that give your child an advantage on stage, at school, in friendships, and when facing new challenges. A perfect 9 ¾ camp rating! Welcome in your new class at Hogwarts with Butterbeer, House Sorting, Patronus Classes, Fantastic Beasts and more. Students transform into Hogwarts-inspired characters to craft and present an original magical story. Friday performance. Broadway Experience: Mary Poppins, JR. Grab that sunshine in your pocket, get that good soul in your feet! Dance your heart out like Princess Poppy, as you help to spread happiness and make new friends with fun dance routines and magical craft activities. 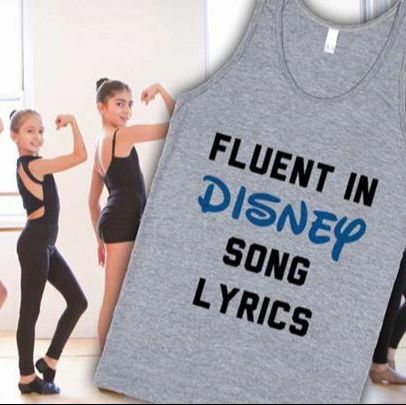 A magical medley of Disney Hits for musical-obsessed students! Learn from professional vocal, acting, and dance coaches as you perform favorites from Aladdin, Little Mermaid, Monsters Inc, Tangled, Frozen, Mary Poppins Returns, and more. A choreographed musical revue of the greatest Disney Movie songs will be performed on Friday. ​An epic mash-up of Queen’s greatest hits for a new generation of fans! Learn from professional vocal, acting, and dance coaches as you perform favorites like Bohemian Rhapsody, Don’t Stop Me Now, Somebody to Love, Killer Queen, and more. A choreographed musical revue of Queen songs will be performed on Friday. Discover the magic of being on stage in this fantasy classic! Students learn foundational acting and movement as well as how to take stage direction. Daily schedule will include rehearsing, making costumes and props, and participating in Wonderland-inspired activities. Friday performance. Find new confidence through creativity and comedy! Learn to use humor and the actor's tools (voice, body and mind) to bring to life an original super funny play! Students will create hilarious and over the top characters and comedic scenes that challenge the audience not to laugh-out-loud. All experience levels welcome. ​TIMES: 9am - 3pm or 9am- 12pm, Monday - Friday, with before/aftercare available as an add-on. COST: Refer to our Camp Guide for the cost of each camp. A 10% Discount is available for siblings/cousins, members of the Military, and First-Responders. Proper ID is required. BEFORE/AFTER CARE: Supervised care is available before and after camp. Before care (8am - 9pm) is $40 per week and after-care (3pm-5pm) is $70 per week. REGISTRATION: Online registration must be completed with payment deposit. CAMP PAYMENT: A member of our team will contact you to go over the payment options for camp(s). CANCELLATION: ​Cancellation requests must be made in writing by May 10th and will result in a $50 Cancellation Fee for each week of camp cancelled. Deposits will be applied towards the total cancellation fee owed. The balance of the camp enrollment paid will be refunded within 7 days of receiving a written request. Refunds will not be issued for requests made after May 10th. CAMP SIZE: We work to create a camp experience where campers have meaningful interactions with each other and staff. To ensure this we cap camp sizes based on the mix of age and experience of campers enrolled. Our goal is to maintain a 1 counselor to 9 campers ratio. LUNCH & SNACKS: Students will need to provide their own lunch, drinks, and snacks during the day. A cooler will be provided for food and drink storage. FRIDAY PERFORMANCES: Camps that culminate with a performance on Friday will begin the presentation no later than 2:30pm. QUESTIONS: For the fastest response, contact us with questions via email at info@stpetemad.com or text 727-202-3268.